Susanne Cipolla Olmos was admitted to New York Bar in 1995 after receiving her Juris Doctorate from Boston University School of Law. She began practicing Immigration Law in June of 2002 in Los Angeles, representing clients before the Immigration Courts, Board of Immigration Appeals, and the Department of Homeland Security in Los Angeles, California. Ms. Cipolla Olmos was born in Queens, New York to a first generation Italian-American family. Her grandparents shared with her their immigrant experiences and she understood from an early age the struggle of acculturation as well as the suffering of people away from their home country. After observing her dad’s ability to make a difference in people’s lives through being an attorney, Ms. Cipolla Olmos felt she too could apply her grandparents’ teachings and her father’s influence to help others in similar situations by becoming an attorney. While in New York, Ms. Cipolla Olmos met her husband, Mico James Olmos, who shared her experience as an advocate of the immigrant population. Her father-in-law, Edward James Olmos, is an actor and activist also serves as a voice to the immigrant population. In September of 2013, Ms. Cipolla Olmos opened her own practice with Keli Reynolds because she wanted to work with someone who shared the same values and client based philosophy. She loves working on complicated cases and finding loopholes in the law to provide solutions for people who did not think they would ever find relief. Ms. Cipolla Olmos represents clients in removal proceedings in Immigration Courts nationwide in applications for asylum, cancellation of removal, waivers and motions to reopen. She also handles employment-based and family-based immigration cases before USCIS and U.S. Consulates overseas in applications for adjustment of status, consular processing, and naturalization. Ms. Cipolla Olmos also handles appeals before the Board of Immigration Appeals and the Ninth Circuit Court of Appeals. When she’s not working, Ms. Cipolla Olmos enjoys spending time with her husband and three daughters. She participates in much of her children’s school activities as well as volunteers in her community. She also enjoys going for runs and cooking for her family and friends. 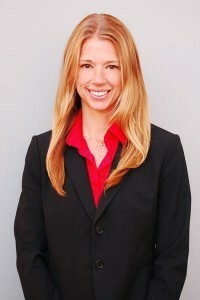 Keli Reynolds is a founding partner of Olmos & Reynolds Law Group, LLP. For nearly a decade, Ms. Reynolds has provided legal representation to immigrants before the United States Citizenship and Immigration Services, U.S. Consulates Overseas, U.S. Immigration Courts and California Criminal Courts. Ms. Reynolds’ immigration practice includes matters such as removal defense, family immigration and employment immigration. Her criminal practice includes both pre- and post-conviction remedies for immigrants. Ms. Reynolds also practices before the Board of Immigration Appeals and has argued numerous cases before the Ninth Circuit Court of Appeals. She has also argued before the California Court of Appeals on cases involving post-conviction relief for immigrants. Ms. Reynolds has also successfully litigated lawsuits against the U.S. government for unreasonable delay in adjudicating immigration applications. Ms. Reynolds has been an invited speaker at events and seminars held by the Los Angeles County Bar Association, Chapman University School of Law and the University of California – Los Angeles School of Law. Ms. Reynolds is also a board member of the Los Angeles County Bar Association Immigration Section as well as a member of the American Immigration Lawyers Association. She spends much of her spare time providing free legal representation to indigent immigrants across the country. Ms. Reynolds is a 2003 graduate of Loyola Law School where she was a recipient of a Faculty Academic Honors Scholarship and a member of the St. Thomas More Law Honor Society. 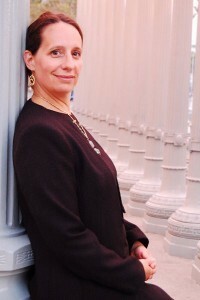 A member of the California State Bar since December of 2003, Ms. Reynolds is also admitted to practice before the Central District of California and the U.S. Court of Appeals for the Ninth Circuit.